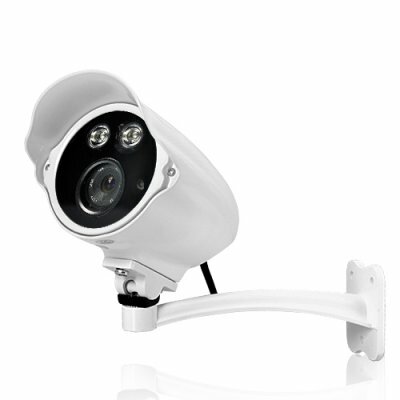 Successfully Added High Definition Weatherproof Security Camera - 4th generation Nightvision, 700TVL, OSD to your Shopping Cart. 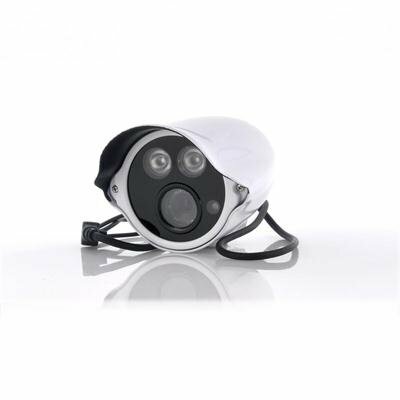 Easily keep your eyes on your home or small business with this High Definition Weatherproof Security Camera that comes with generation 4 nightvision and amazing 700 TVL image quality. Mind-Blowing Image Quality, Day or Night: the Generation IV technology together with a display resolution of 700 TV Lines on this security camera produces image quality that’s simply beyond belief. Every single detail, every corner of your room, every feature of the intruder will be shown in sharp and crisp video on your monitor. No thief will ever be able to get away unrecognized. New OSD Feature: the I216 comes with on-screen display (OSD) for controlling numerous functions such as Back Light Compensation, White Balance, Digital Noise Reduction to name a few, so that you don’t need to buy an additional DVR for setting up or controlling the camera. Indestructible Build: Constructed with reinforced metal, the I216 security camera is a strong fortress that will laugh in the face of any type of vandalism. With a high 66 IP rating, it will even stand any type of weather conditions. It’s one heavy duty security camera that works all day and all night, rain or shine. Buy several of these Nightvision Security Camera for maximum home and business security, and after you try out them yourself, buy some more to sell for profits! This model is in stock now and available to you from the leader in factory direct wholesale electronics, Chinavasion. Extra, l'image est irréprochable, et la vision de nuit est incroyable.